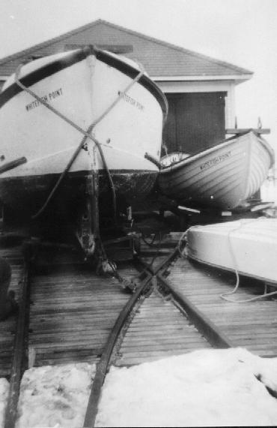 The Whitefish Point Lifeboat Station was established in 1923 and served mariners until 1951. 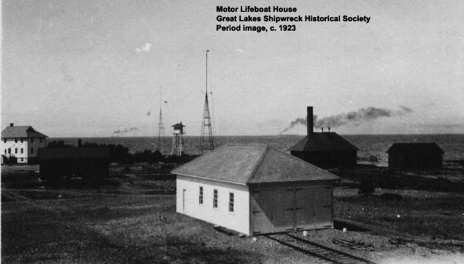 The station house and boathouse for the motor lifeboat were then sold at government auction and removed from the property. The Whitefish Point Light, which shared the original site with the lifeboat station, remained operational, though eventually automated. All remaining Coast Guard personnel were removed from the site in 1970. 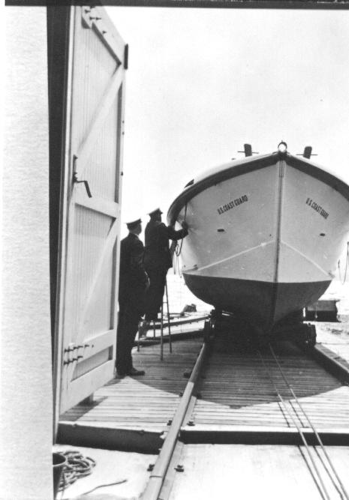 The Great Lakes Shipwreck Historical Society began museum operations at Whitefish Point in 1985. After four decades in private ownership, the station house was acquired by the Society and moved back to Whitefish Point in 1990. 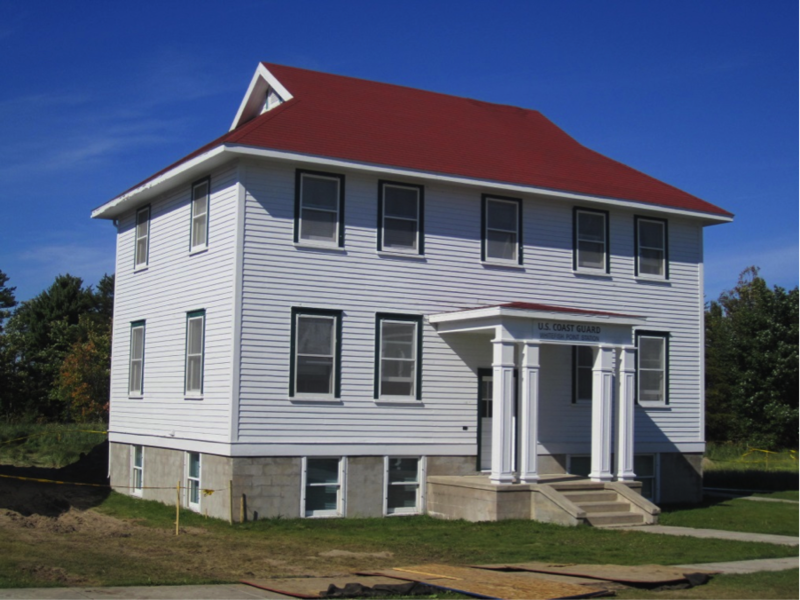 The Society renovated the building which is now used for overnight guest accommodations. The boathouse for the station’s surfboat is also on the property and has been restored. It holds exhibits of the early Coast Guard era, including a full sized Beebe-McClellan surfboat replica. The station’s boathouse remained on private property without any care. 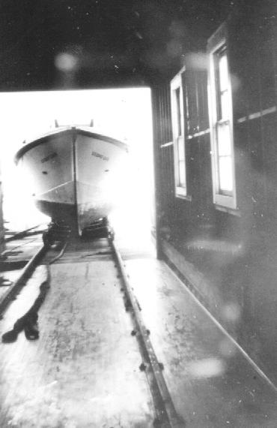 Occasionally the Shipwreck Society secured the boathouse doors back in place. 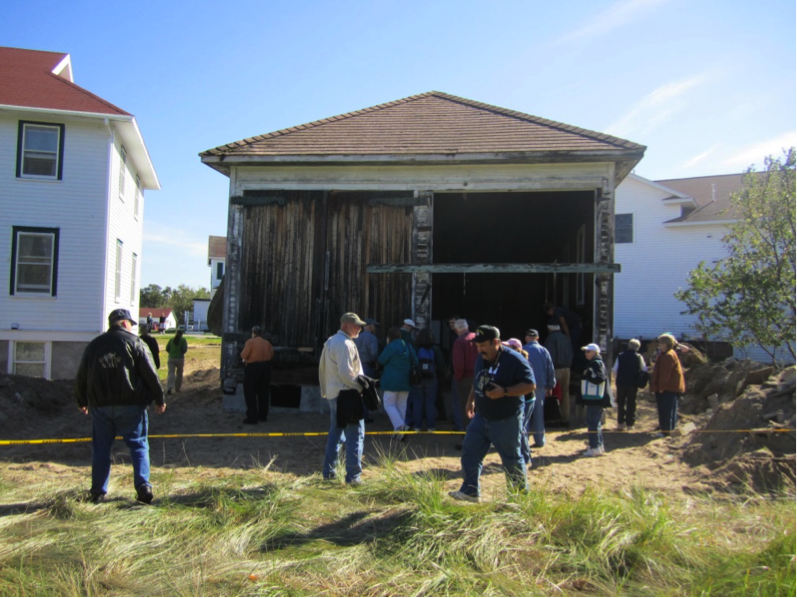 They eventually acquired ownership and moved the building back to Whitefish Point on September 23, 2013. It could not be placed at the original location, as that is now underwater, but was placed next to the crew’s quarters building. 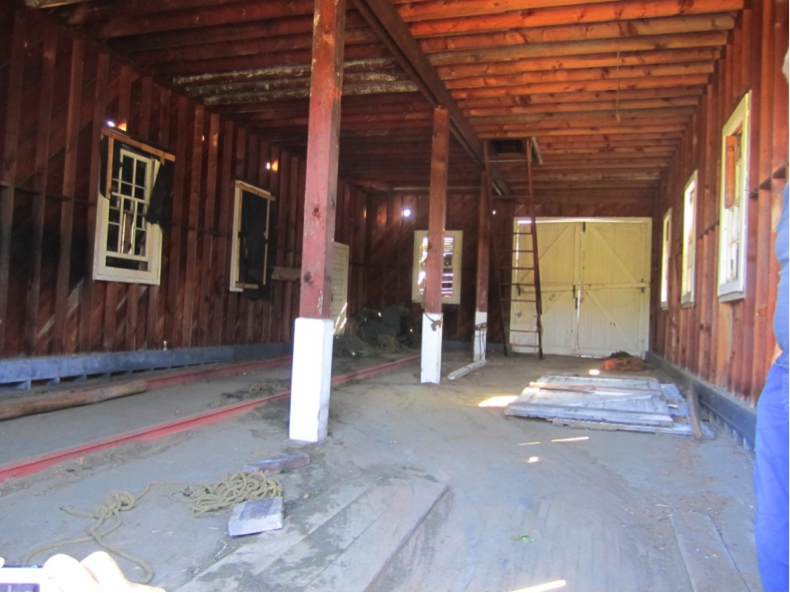 Plans for restoration work on the boathouse were completed in 2014. Work began in 2015, and is still ongoing in the spring of 2017. When completed it will house a theater and lecture hall. 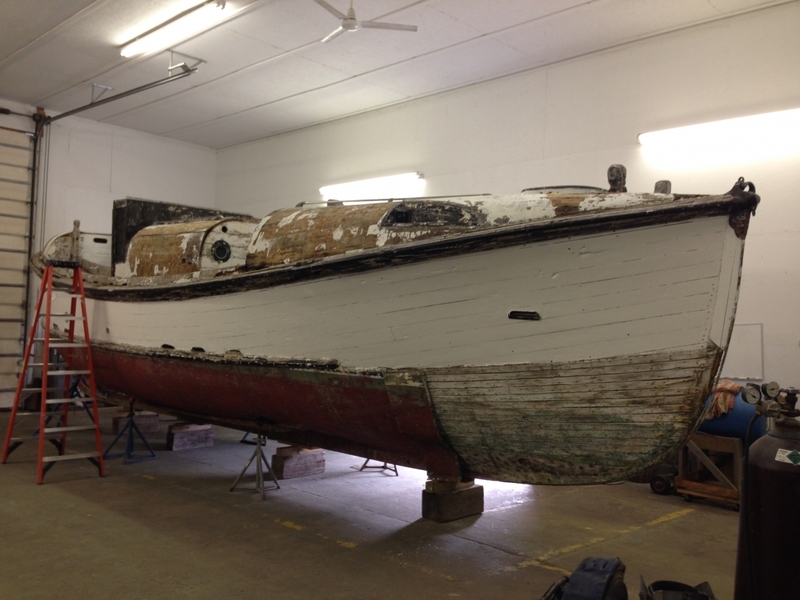 A 36’ motor lifeboat (CG36381) has been acquired, and is currently undergoing restoration. Eventually it will be displayed on a deck adjacent to the boathouse.